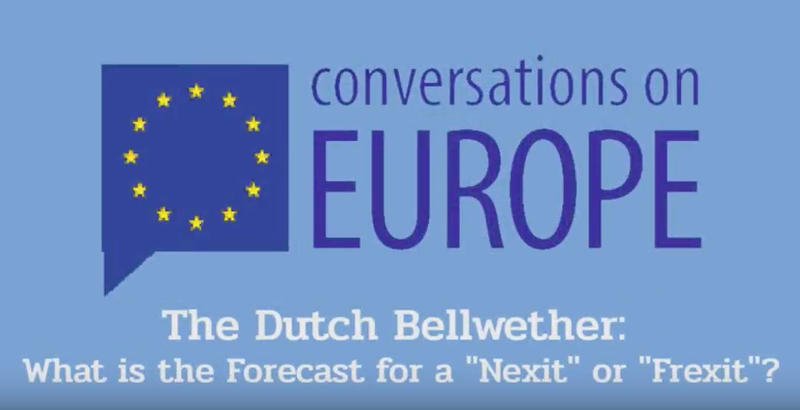 Conversations on Europe Videoconference Series wit the University of Pittsburgh: The Dutch Bellwether: What is the Forecast for a "Nexit" or "Frexit"? On March 21, 2017, the Jean Monnet European Union Center of Excellence at the University of Pittsburgh held a roundtable discussion entitled "The Dutch Bellwether: What is the Forecast for a 'Nexit' or 'Frexit'?." Panelists included: Catherine de Vries (Professor in the Department of Government at the University of Essex), Jae-Jae Spoon (Associate Professor with the Department of Political Science at the University of Pittsburgh), and Rainbow Murray (Associate Professor in Politics at Queen Mary University of London). Allyson Delnore (Interim Director of the European Studies Center at the University of Pittsburgh) served as moderator. After the Brexit referendum in the UK and Trump’s election in the U.S. in 2016, political observers wonder what is in store for 2017. Join us to discuss the results of the March 15, 2017 elections in the Netherlands and the forecast for next month’s elections in France. How is populism fairing in Europe? What does Geert Wilder’s showing in the Netherlands suggest for Marine Le Pen’s prospects to become the next French president? Given the Euroscepticism expressed by both candidates and their popularity in recent polls, how likely is a Netherlands or French exit from the EU? The United Nations – Why does it matter? On March 7, 2017, the Center for Global Studies in conjunction with the European Union Center, and the Department of Political Science welcomed Paul Diehl from the University of Texas-Dallas to discuss evaluating the United Nations. In a packed event, Paul Diehl discussed methods in which we evaluate the United Nations, and ways we can combat typical issues brought up in debates. One of the most interesting portions of his talk was the discussion of the issue of relevance, especially to nations who may not depend or require foreign aid, humanitarian programs, or blue or white helmets. Diehl argues that developed countries still view the United Nations as a useful program. He discussed the utilization of the UN budget and voluntary donations to the United Nations from many European nations. These nations, he argues, would not give more than what is expected of them if they did not believe in the program or find it useful. A question I did not get to ask (though I think it is relevant) is the utilization of sending funds to the United Nations as a means of ‘back-channeling.' Based on the discussion at the lecture, perhaps some countries could send funds to the United Nations so that they can help countries or regions that they might not be able to directly work with due to domestic politics. A popular topic at the event was U.S President Donald Trump and Russian President Vladimir Putin who have both made interesting comments regarding the United Nations. 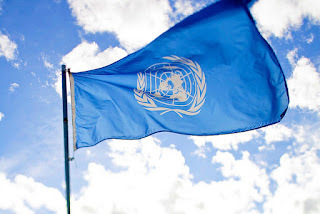 With many people in the United States and Europe becoming disillusioned with the media and elites, addressing concerns about funds being sent to the United Nations is critical. Perhaps the United Nations is not too far gone, and perhaps the common critiques are simply due to a lack of good outreach to developed countries’ citizens. Citizens in developed countries need to feel comfortable with their governments sending money that may not directly benefit them, and academia in particular is in a unique position to promote that message. It is critical to note that it is not enough anymore to tell citizens that the United Nations is good for their country; we must be able to articulate why. 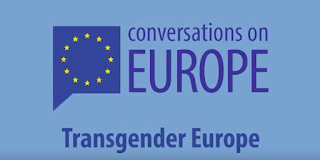 On February 21, 2017, the Jean Monnet European Union Centre of Excellence at the University of Pittsburgh held a roundtable discussion entitled "Transgender Europe." Panelists included Mat Fournier (Assistant Professor, Ithaca College), Tamás Jules Fütty (Trans Academic & Activist), and Tomas Vytautas Raskevičius (Policy Coordinator, National LGBT* Rights Association). Todd Reeser (Professor, French & Italian; and Gender, Sexuality, & Women's Studies, University of Pittsburgh) served as moderator. 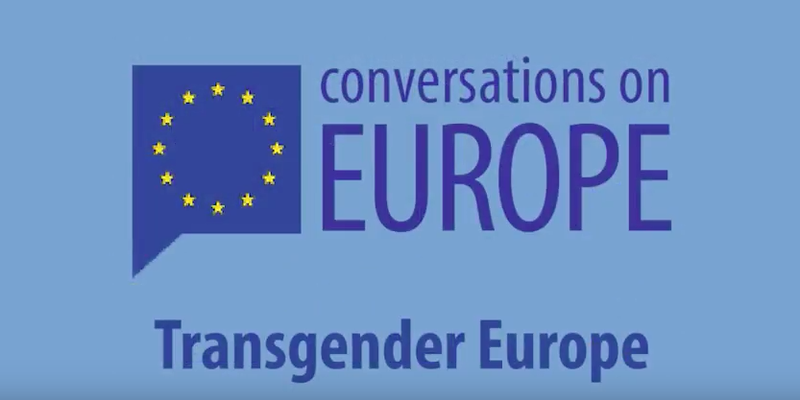 Join the ESC for a moderated "virtual roundtable" on the issues facing transgender men and wmen in Western and Eastern Europe today. This event will be co-sponsored by the Gender, Sexuality, and Women's Studies Program and moderated by the GSWS Director, Todd Reeser. 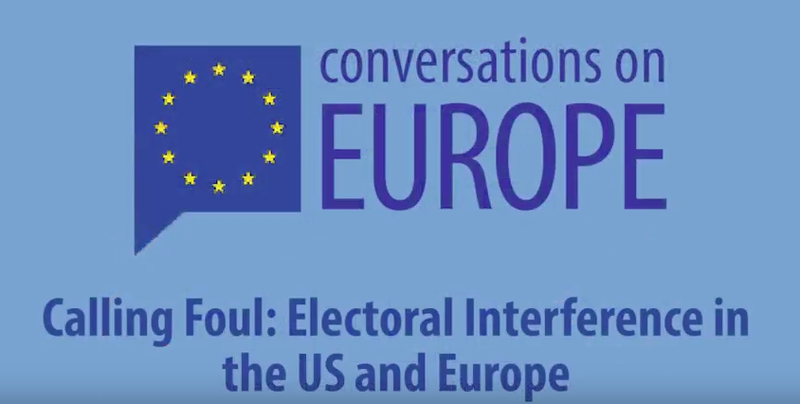 On January 17, 2017, the Jean Monnet European Union Centre of Excellence at the University of Pittsburgh held a roundtable discussion entitled "Calling Foul: Electoral Interference in the US and Europe." Panelists included: John R. Deni (Research Professor of National Security Studies, Gen. Douglas MacArthur Chair of Research, Strategic Studies Institute), Florian Hartleb (Independent Scholar and Consultant, E-Estonia and digitization), Helga Druxes (Professor of German, Williams College), and William Dunn (Professor, Graduate School of Public & International Affairs). Sean Guillory (Blogger and Podcaster, Affiliate with Center for Russian and East European Studies) served as moderator. Have we entered a new age of cyber-sabotage? 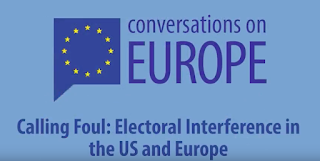 In this session of Conversations on Europe, our expert panel explored episodes of foreign state interference in electoral politics in Europe and the U.S. past and present. From state-sponsored hacking to Wikileaks, what do we know about who is calling the shots? On December 6, 2016, the Jean Monnet European Union Centre of Excellence at the University of Pittsburgh held a roundtable discussion entitled "The Migrant Experience in Germany auf Deutsch." Randall Halle (Chair of the German Department at the University of Pittsburgh) served as moderator of this roundtable, which was held completely in the German language. What has been described in the media as a migration crisis in Europe is being characterized by many aid workers as a reception crisis. The German Chancellor, Angela Merkel, has taken the lead among European heads of state in advocating for a safe and effective process of resettling migrants. Taking Germany as an example, a panel of experts discusses the migrant experience in that country. What are the legal processes for applying for asylum or settling as an economic migrant? What is the pathway to citizenship? What has been the public response? How does Germany's experience compare with other European countries? On November 15, 2016, the Jean Monnet Centere of Excellence at the Centre of Excellence at the University of Pittsburgh held a roundtable discussion entitled, "Black Lives Matter: The Movement in Europe." Panelists included: Felix Germain (Assistant Professor, Africana Studies), Toyin Agbetu (Community Educator, UK), and Kehinde Andrews (Assoc. Professor, Birmingham City University). In Europe, the Black Lives Matter movement in the U.S. has struck a chord with some. Issues of procedural inequalities and police violence have been made more public in Black Lives Matter marches in cities throughout Europe. How does the movement in Europe differ from its American inspiration? How do issues of ethnicity and religion inform understandings of race in Europe? And what has been the response of authorities?